From the story: "Latinas in education make up the largest category of Latina professionals." The growth of the Latino population in the United States will have a lasting cultural and intellectual impact beyond the arts, food, and celebrations. More and more, Latinas are becoming teachers, shaping our classrooms and our children’s education, argues Glenda Flores, a sociologist in the Department of Chicano/Latino Studies at UC Irvine. In her new book Latina Teachers: Creating Careers and Guarding Culture, Flores’ research shows the impact of the growing numbers of Latinas who are going into teaching. Latinas in education make up the largest category of Latina professionals, outpacing the next largest category, nursing, by three times. Data from the Department of Labor shows that Latinas make up the fastest growing non-White group to be entering the teaching profession. Flores writes that the influx of Latinas in education comes from a confluence of historical and social factors she calls the class ceiling. Difficulties in balancing family obligations along with managing structural social forces of gender, ethnicity, and demographic changes channeled Latinas into education. 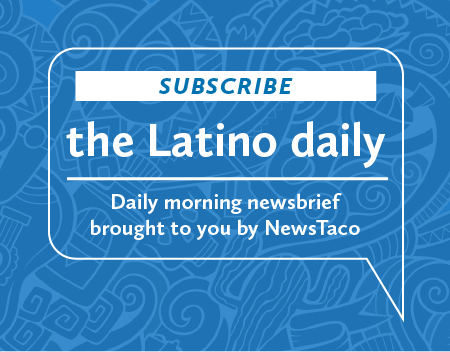 Subscribe to NewsTaco's morning news brief.